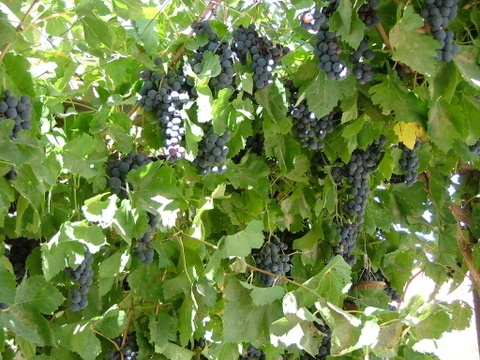 Green Prophet has already reported on Kibbutz Tzuba switching to wine production because of the decreased water needs of grapes. Now Israeli wine is going even greener, with solar power. This past Monday, Sunday Energy Ltd. (Isra’el’s leading solar energy service provider) announced that it had completed installing a 50 kW Peak solar system on the roof of the Carmey Avdat winery located in the Israeli Negev desert. Since the winery is located in an area that consistently gets a lot of sun, the installation on the 200 square meter roof of the winery is expected to meet approximately 65 percent of Carmey Avdat’s annual energy needs. Thus making them Israel’s first solar powered wine producer. Hannah and Eyal Izrael have always respected the natural environment of their vineyard, however, and as they describe on the Carmey Avdat website, “we learned to listen to the voices of the desert and to respect it – but not to attempt to tame it.” They also describe how their winery is located on the site of an ancient vineyard from the Nabbatean period – over 2000 years ago. The Carmey Avdat solar roof project follows other tenders previously secured by Sunday Energy, such as the Tel Aviv municipality bid to install solar energy systems on school rooftops, the Kiryat Ono tender for installations on the municipality’s public buildings, the largest solar roof installation in the Middle East on the Ormat factory in Yavne, and a planned installation on the Dalton Winery. Sunday Energy is also planning to construct solar farms across Israel over the next 2-3 years. in and use as a lab to experiment with green technology. to the old galvanised iron, but it does not have the spangled effect. I’ve been to the Carmey Avdat Winery, and while it is a great and innovative place (and the wine’s not bad either), there is a big question mark over the amount of water provided by the State to one small ranch in the middle of what is a hot, arid desert. The Bedouin who live either side of Carmey Avedat recieve nothing, and while there are good relations between the 2 are good, the discrepancy is there for all to see. All should visit, and meet everyone in the area.